A dining room table takes up a lot of space in your home. Unless you have a sprawling estate, you would probably like to have a little more space in your home. You don’t have to invest in a costly addition or to start looking for new listing. You just need to be a little innovative in the way you furnish the space. 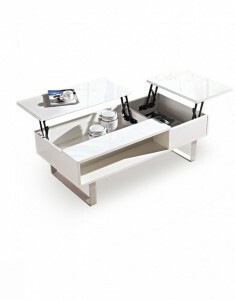 A transforming table can help you maximize the space in your home. You can either use it to create a dining area where you have none, or you can use it to make better use of the space in your kitchen or dining room. A transforming table accomplishes this by performing double duty. The table starts as a simple coffee table or console table. You can use it for displaying plants, putting down mail, entertaining guests, or simply decorating the room. The table top lifts up to seat height to serve as a dining table. When you are ready for a meal, you just have to lift up the table top to create a dining table. Some other tables include folding eaves. You just pull the eaves up and support them with the bar included. Transforming tables are quite easy to use. They are much more convenient than traditional dining tables that include extra eaves. To extend these tables, you have to pull apart the table and insert the new eaves. This can be quite difficult since the table is heavy and the mechanism is usually hard to maneuver. 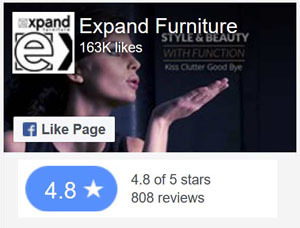 You’ll find yourself struggling to pull the table apart, and a “simple” extension to accommodate more people will turn into a big ordeal. Some transforming tables work the way that these traditional dining sets do, but they are much, much easier to use. These transforming tables start as small, side tables or individual desks, and they open up to accommodate more leaves. Unlike traditional tables, these open up quite easily. The mechanism moves smoothly, and anyone can open them in seconds. The table opens easily, and the eaves are lightweight and simple to move. Investing in a transforming table will help you maximize the space in your home by allowing you to make a room serve double duty. You can turn your living room into a dining room within seconds, or you can transform your breakfast nook into a formal dining area. 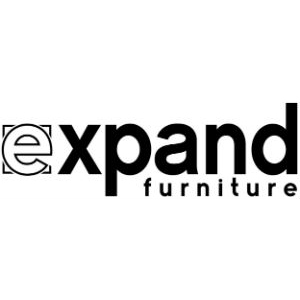 The transforming tables at Expand Furniture are also easy to use and affordable, helping you to save both time and money. 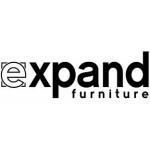 The tables at Expand Furniture come in a wide variety of styles and designs, helping you to get just the right look and functionality for your space. Our tables come in a variety of colors and stains, materials and more. You can completely change the look and feel of a room just with the choices you make in your transforming table. 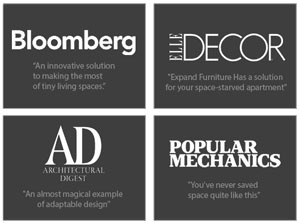 Our transforming tables are made of the highest-quality materials, and we ship our products worldwide. Explore our online catalog to find the perfect transforming table for your home.